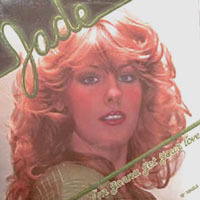 In June, after years of being a background vocalists for René Simard, Pierre Perpall and many others, Nancy Martinez releases I'm Gonna Get Your Loveas Jade, on Polydor (7": 2065 476 - 12": 2141 582) in North America. A Hot Tracks remix is issued to DJ's, as well. The single is also available in Holland on the Ram's Horn label (7": RAMSH-1163 - 12": RAMSH12-3163 /RAMSH12-3480) and in the Netherlands on Dureco/High Fashion (7": 4641). As Nancy Martin, she releases Can't Believe on the Canadian Neige Records label (7": NEI-45103 - 12": NEI-12103) as well as on Atlantic (7": 7-89957 - 12": 0-89971 /DMD-362) in the US. Lay It Down, her first album as Nancy Martinez, is released on the Matra label (MLP-007), in Canada. Two singles are also issued:So Excited(7": MT-013 - 12": 12MA-024) and Take It Slowly(7": 7MT-021 - 12": 12MA-032). Other tracks on the album are Lay It Down, We Got The Real Thing, Right Here By My Side and The Love You Made Me Feel. One of the year's big hits in Canada was Sunshine Reggae /La vie en rose (Matra 7": 7MTJ-029 - 12": 12MAJ-042), a duet with then-husband Allen Harris. It was the perfect combination of covers of a current hit (Laid Back's "Sunshine Reggae") and of a timeless classic (Edith Piaf's "La vie en rose"). The B side was Nancy's version of La vie en rose. Another single, Number Two In Love (7": MA-034 - 12": 12MA-047), follows but no new album is released. Nancy's biggest hit For Tonight is released on Atlantic Records (7": 7-89371 - 12": 0-86789 /DMD-963). It is shortly followed by her second album Not Just The Girl Next Door (Atlantic 81720). Other tracks on the albums are Move Out, It Happens All The Time, I'll Be There, In The Heat Of The Night, Hurt Me Twice (Shame On You), Crazy Love, Without Love and Rhythm Of Your Heart. Two more singles, Move Out (7": 7-89300 - 12": 0-86734 /DMD-1010) and Crazy Love (7": 7-89227 - 12": 0-86679 /DMD-1065 /Ultimix Vol.13, Side E1 /Prime Cuts Vol.1, No.5, Side C2), are released off her Atlantic debut album. A Disconet remix of It Happens All The Time (Vol.9, Prog.6) is also made available to DJ's the same year. The main reason It Happens All The Time isn't issued on single is because the original by L.I.F.E. (also featured on Nancy's version) is released to retail and clubs in 1987. Another single is released later in the year on Atlantic Records. Can't Wait (7": 7-89141 -12": 0-86626 /DMD-1126 /Prime Cuts Vol.1, No.7, Side A2), which is not featured on any Nancy Martinez album, ends her association with the label. Nancy's voice is also featured on a french single called Désir (NS-007) by Christopher L., on the Nouveau Souffle label, in Canada. You've Got Me On Fire is the first single (7": AM-1441 - 12": Vendetta 7030 /Prime Cuts Vol.2, No.11, Side C2) off Nancy's third album, Unpredictable, on A&M Records (5267). The 12" is called Fire (You've Got Me On Fire). Another 12" (Vendetta SP23061) is later released with different mixes, including the Fire House Mix. As far as the original version and remixes of You've Got Me On Fire are concerned, the flip side of the 7" single, I Will Make It Up, had much more potential and ended up also getting played. The second release is Save Your Love For Me (Vendetta 12": VE-7028) and includes the House Mix. Other tracks on the album are Unpredictable, Make A Move On Me, First Impression, Everlasting, I Will Make It Up, I Believe In You & Me, How Many Times and Got Something On My Mind. The third and last single off Unpredictable, Everlasting (AM-1489), is released to radio without much success. It also marks the end of her contract with Vendetta /A&M. Later the same year, she signs a new deal with ISBA. In November, she releases her first francophone album, the self-titled Nancy Martinez (ISCD-2024), with Tomber sous les mots as the lead single. Other tracks on the album are Quelque part, L'amour après l'amour, Je lui dirais, Mon homme, Le temps passe, Le pays d'en haut, Feel My Love "n'attend pas" and Pour un enfant. At few more excerpts from her ISBA debut are released to radio, including the infectious Je lui dirais, as well as Feel My Love "n'attend pas". Her second and last album for ISBA, Pourquoi tu pars? (ISCD-2054) is released in October 1994, as well as it's first single, La maitresse de tes rêves (CDS: CDPRO 002, 12": IS-12-1064), a cover of the West End Girls' "Anything To Make You Mine". Other tracks on the album are Pourquoi tu pars?, Vivre à deux, Et je crois à l'amour, Je cherche encore, J'ai peur, Comme un coeur qui bat, Sale menteur and two tracks penned by Lara Fabian: Écris moi and Quelle heure est-il à Montréal?. Pourquoi tu pars? and J'ai peur are among the songs released to radio this year, from Nancy's last album for ISBA. A single for La maitresse de tes rêves is also released in Europe. Nancy sings to Steven Vitali's piano on Canada My Home, from the Songs To Fly By album (ISBA 5007), commemorating the Snowbirds 25th anniversary. She's prominently featured on Your Light, off Céline Dion's Falling Into You album (Canada: Columbia 33068, France: Columbia 483792, Australia: Epic 483792), released March 12. Over the years, she's done background vocals for many artists but this is probably one of the biggest project to which she's contributed. Her voice can also be heard on Dreamwalk and Is There Anybody Out There, as well as in the background on Excuse Me While I Scream!!! from Aldo Nova's Nova's Dream CD (BMG 74321-41410-2) released October 23. On February 17, a new Nancy Martinez album, featuring both a new edgier look and musical style, is released on @records (@CD-9604). The album entitled Bird's In The House features a few radio singles, including I'm In Heat (@CD-961), Jack and Fire (@CD-967). Other tracks on the album are I Can't Wait, It Ain't Right, Getting Over You, How Low Can You Go, Don't You Call Me Anymore, Looking For A Rainbow, Highway, Without You and Living In The Gray. Nancy wrote or co-wrote 4 songs. Although an excellent album, Bird's In The House doesn't get the exposure it deserves and is deleted within about a year. To this day, this is still my favorite Nancy Martinez album. Nancy's first solo project of the new millennium comes in the form of a maxi single. For The First Time is released in Italy (Dreambeat 2x12": DB156) and Holland (Dice DCE0117710) and is also part of some Avex compilations in Japan in 2001. Nancy's vocals can also be heard on country singer Denise Murray's Under The Moon album. Nancy sings on A New Life, from Mac Mac & The Thornhill Family's Spiritual Awakening CD (Unidisc SPLK-7352), released in Canada in May. She also appears on Garou's live CD, Seul avec vous (Sony 80685), issued on November 6 in Canada. Nancy appears on the Divas du Québec CD (Dead Line DMCD-3639), released on May 6 in Canada. She sings Si j'étais un homme (a Diane Tell cover), as well as a duet with Gioaria on Un peu plus haut, un peu plus loin (a Ginette Reno cover). She can also be heard on Ensemble, with the other 16 female singers involved in the project. The album is a live recording of the March 22 show at the Capitole de Québec. The event also gets a TV broadcast on May 11 on the TVA network, in Québec. Proceeds are to benefit breast cancer research. Nancy Martinez releases her first jazz standards album on March 16. The CD, entitled Downtown (RESO RECD-332) includes Downtown, The More I See You, When Sunny Gets Blue, In A Mellow Tone, I'm Old Fashioned, September Song, Makin' Whoopee, The Summer Knows, Honeysuckle Rose, Breaking Up Is Hard To Do, Fools Rush In, I Wish You Love, Moonlight In Vermont and Que reste-t-il de nos amours. The album can be ordered directly from Les disques Réso. 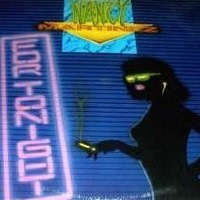 Nancy returns to the charts in the summer, as she's featured on rapper K-Maro's hit single Femme Like U as well as other tracks from his album entitled La Good Life (EastWest 2-61806). The album is released in many countries including Canada, France and Germany. The single is so popular it even gets issued as a ringtone. A few months later, Crazy is issued and also makes the charts. In late March, Nancy duets with Denis Ducharme on Wouldn't It Be Nice, the first single and video from his self-titled debut CD (RESO RECD-336). The album can be purchased directly from the artist's site or from Les disques Réso. A few months later, she goes solo with the reggae-flavoured release of Laisse-moi te donner (SIZ2-4503), back with her old team at Sizzle Records. In April, Nancy Martinez is the guest vocalist on the new MC Mario single entitled Not Guilty (Tycoon TYK-0606). The song and its 8 mixes receive club play all through the summer, even appearing on a number of compilations across the world until 2007.
with thanks to Lyson and Réjean for their help. "Stef musique" logo: &COPY;1991-2007, Stef. All rights reserved.